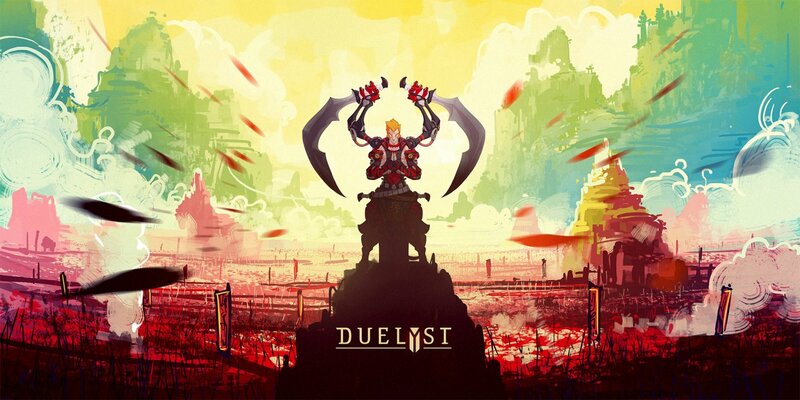 Duelyst has been recently launched on Steam and it’s an absolutely spectacular and one of a kind CCG. It’s even more than that, actually, so you really have to play the game in order to be completely amazed by its beauty and complexity and become an instant fan. It’s not a Hearthstone clone, it’s not a strategy game, it’s a bit of chess too, it has card collecting elements and tons of mechanics to consider when playing… it’s awesome! And I am here to help you out a bit by sharing some Duelyst cheats and tips: a complete strategy guide that is mostly aimed at beginners, but from which more advanced players might have a thing or two to learn as well. The truth is that you can write books about Duelyst and potential strategies based on the situation you’re in, but I will try to keep it as simple and as short as possible. Therefore, let’s not waste any time and let’s check out below some Duelyst tips and tricks! 1. It’s all about the placement of your units, but things are not as easy as they might seem at first: you are allowed to place your unit only in a square next to a friendly unit (special rules sometimes apply as a few cards don’t have to follow this rule). Units can only attack (again, generally) units that are in a nearby square, so this automatically brings up a ton of potential strategies. From dropping low cost cards first, just to gain enough distance to drop a monster card in a key area to Airdropping a card near an enemy, then dropping near it one with Provoke – there are multiple strategies to consider, but one thing is extremely important: location matters a lot, so always pay attention not only to where you drop your cards and where you move them, but also what your opponent does. 2. Level up those factions by playing practice matches. I would personally suggest to not even try your hand against other players (or at least don’t overdo it) until you have leveled up all your factions – or at least your favorite ones to level 11 via practice matches. This gives you a better understanding of the game but also unlocks a new general for that faction, giving you more options to juggle with. 3. Practice for effects and counter-effects aka know everything. Being prepared doesn’t only mean stocking up food when the apocalypse hits: it also means knowing what the opponent might throw at you and playing in anticipation of that move. A good example is the Holy Immolation spell which can be countered by placing your units in a diagonal line. Know what each general can do when they unlock their spell, know what your general can do and try to anticipate moves as well as know exactly what each card in your hand does – and how to play it in order to get the most of its potential bonuses. Knowledge is power! 4. Duelyst rewards its players with a lot of free money and free money means free cards for you! Make sure to complete the daily missions each day, every day and don’t forget that you are allowed to replace one for free. Get as many wins as possible during the day as well in order to get even more money. You can easily get 1 card pack per day simply by playing, winning and completing missions. 5. Replace and win the center: Planning your moves as if you were playing chess is the key to victory, but don’t be afraid about changing the game and replacing a card you’re not going to use. Even though sometimes it makes sense to hold onto a card that you’re planning on using later in the game, in many occasions it’s a good idea to just replace it and maybe get something that you can use right now. However, no matter what you do, you should focus on dominating the center of the board: this way, it’s a lot easier for you to counter most cards played anywhere, even on the sides. 6. Make sure that your decks is evened out and that you always have a hand that allows you to use up all your mana. It’s usually the player who manages their mana the best (as in uses it all every turn) that wins the game. Make sure that you have cards to play at all times, especially when you’re starting a new game. Make sure that you have both low value and high value cards in your deck and there’s always a balance between spells and actual unit cards that you can play in the battle. Playing the game on practice mode should give you a good idea of what’s extra in your deck and what needs replacing, but always be on the lookout for dead weight cards and improvements you can make and don’t be afraid to do them! 7. What to do about mana titles? These are extremely important and they can help you a lot, but it doesn’t always help to rush and get them. Depending on the faction you’re playing and the opponent you’re playing against, you might want to rush and get them or not. In the case of mana titles, the tip I shared above regarding using up all mana doesn’t really count: it’s usually better to get that mana title and end the turn with extra mana than allowing your opponent to get it. 8. Play The Gauntlet only when you really know the game. It’s extremely fun to play with any and all cards, but it’s also expensive and if you don’t play it right, you might lose more than you actually win. So make sure that you have a good understanding of the game’s mechanics and cards before dipping your toes in this hot sauce! This guide just managed to scratch the surface because Duelyst is such a complex game with so many mechanics, potential strategies and cards in play that it’s impossible to cover everything in a blog article. But hopefully this helps at least a little bit – especially if you’re just starting to play this awesome game. Also, if you have tips and tricks that you think might be useful for fellow players, don’t hesitate to share them in the comment section below.